Peak levels are saved in memory and can be viewed after a run. The exhaust temperatures are monitored with a Pyrometer probe inserted in the exhaust flow. The probe can be mounted before of after the turbocharger. If mounted after the turbo the temperatures will vary from 300° F to 1000° F. If mounted before the turbo temperatures of 300° F to 1200° F will be normal working levels. Select the temperatures that should not be exceeded and the numbers will flash when it is attained. It is hard to have too much turbocharger boost pressure but if you have too little under a hard pull the result can be high operating temperatures. Transmission oil temperatures will reflect how hard you are working the transmission. The oil begins to break down quickly once it reaches 270° F. Higher temperatures cause transmission life to shorten, set the limit at the 250° F and increase the operating life. We can also monitor the fuel transfer pump pressure on the ISB electronic engines. Traditional round Analog gauges and mounts are also available, please scroll the page down to view them. 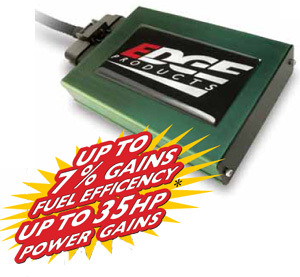 Stay on top of what is happening in your engine with the proper gauges from BD! 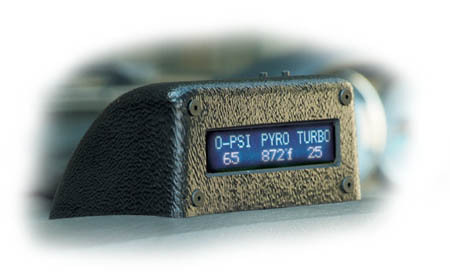 A Pyrometer to monitor exhaust temperatures. The Turbo Boost gauge keeps track of a turbo pressures. A Back Pressure gauge monitors exhaust brake performance. An Oil Temperature gauge will insure that you are aware of how well your transmission is functioning. A variety of mounts are available.